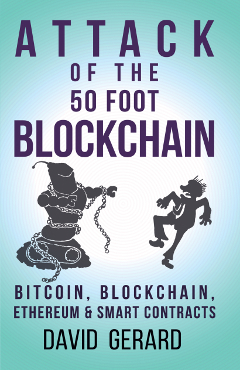 I did a podcast interview with Matthew Aaron of Crypto 101 — going through the book, Attack of the 50 Foot Blockchain, chapter-by-chapter. This came out really nicely. Thanks to Matthew for this one. By the way — I’m doing a webinar for marketers next Tuesday, 20 November 2018, at 1500 UTC: “What is Blockchain ¯ A Primer for Market Researchers,” with Ray Poynter of NewMR! 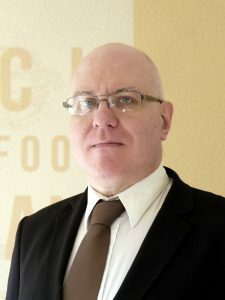 Again, it’s the basics of what a blockchain actually is and where the hype comes from, with a few marketing-related pieces of interest. It’s free, and the recording will be available afterwards — but you should register if you want to tune in live and ask questions. I’m basically available for podcasts — including video, with warning — and always do my best to say “yes” to media. We have a usable video setup at home now and all!